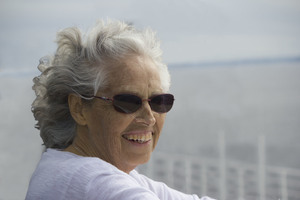 Provide comfort for the family of Linda Rasmussen with a meaningful gesture of sympathy. Linda Lee Rasmussen, 73, of Paullina, Iowa passed away on Monday, January 21, 2019 at Nebraska Medicine in Omaha. A Celebration of Life Service will take place at 11:00 a.m. on Saturday, January 26, 2019 at Faith Lutheran Church in Marcus, Iowa. Rev. Alan Cummins will officiate. Burial will follow at Marcus Amherst Cemetery. Visitation will begin at 2:00 p.m. on Friday, January 25, 2019 at the Earnest – Johnson Funeral Home in Marcus. The family will be present from 5-7 p.m. to greet friends. There will also be one hour of visitation at the church prior to the service on Saturday. Linda Lee Rasmussen was born on September 5, 1945 in Le Mars, Iowa to Wayne and Carrie (Hobbs) Sanow. She attended school in Marcus, Iowa, graduating from Marcus High School in 1963. Following graduation, Linda attended business college in Omaha, Nebraska where she studied accounting. On October 13, 1963, Linda and Gary “Boze” Rasmussen were united in marriage in Marcus. They made their home on a farm near Paullina, Iowa. Along with farming, Linda and Boze owned and operated a liquor store and video rental store in Marcus for many years. They also owned The Hawkeye bar at the same time. When the liquor and video shop closed, Linda and Boze operated The Hawkeye together. Gary passed away on December 20, 2001. Linda continued to run The Hawkeye, a venture that lasted 27 years. She would later close the bar and took a position at Staples. Linda retired in 2012 and remained on the farm near Paullina. Linda was an avid reader and enjoyed watching Days of Our Lives and westerns on TV. She also researched her genealogy and made record books for her children. Her greatest joy came through time spent with her children and grandchildren. She greatly enjoyed attending their school activities and sporting events. Christmas was her favorite holiday and she planned well in advance for its arrival. She will be lovingly remembered by her daughters, Robin Harms of Lake Jackson, TX and Mindy (Michael) Rohlfsen of Le Mars, IA; sons, Terry Rasmussen of Oswego, KS, Thad (Tracy) Rasmussen of Paullina, IA, Zach (Jessica) Rasmussen of Denver, CO and Josh (Michelle) Rasmussen of Eldridge, IA; 10 grandchildren, Kim, Bryce, Beau, Bre Lee, Brayden, Carter, Gwen, Max, Garrett and Everett; a great-granddaughter, Emma; a sister, Sandy Means of Buckeye, AZ; a brother and sister-in-law, Gary and Lorraine Sanow of Hyrum, UT; a brother-in-law and sister-in-law, Norman and Evelyn Rasmussen of Rochester, MN; and several nieces and nephews. Linda was preceded in death by her parents; husband, Gary; father-in-law and mother-in-law, Harry and Erna Rasmussen; and an uncle, Don Sanow. 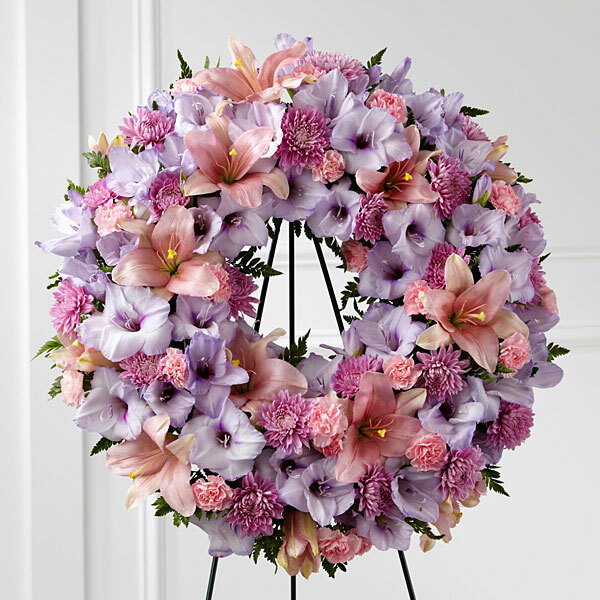 To send flowers in memory of Linda Lee Rasmussen (Sanow), please visit our Heartfelt Sympathies Store. The family will be present from 5-7 p.m. to greet friends. There will also be one hour of visitation at the church prior to the service on Saturday. TJ Loger, Your friends and family at Accenture, and others have sent flowers to the family of Linda Lee Rasmussen (Sanow). We are sorry for the loss of your mother. Our thoughts and prayers to all of you. Rod and Kaye. Heartfelt condolences from the Loger family. TJ Loger purchased flowers for the family of Linda Rasmussen. Your friends and family at Accenture purchased the The FTD Sleep in Peace Wreath for the family of Linda Rasmussen.